Every time Blizzard releases a new set of Hearthstone cards, there are always those cards. We're talking about Shadow Rager, Hemet Nessingwary, and Tentacles for Arms. Journey to Un'Goro is no exception, and while it does have a bunch of awesome, interesting cards, there are quite a few flat-out terrible ones. At first glance, you may not think this card is too terrible. Armor stops you from dying! That's correct, but there's just no way you would ever run this in your deck while Shield Block exists. Yes, it costs two extra mana, but you cycle a card, which is invaluable. 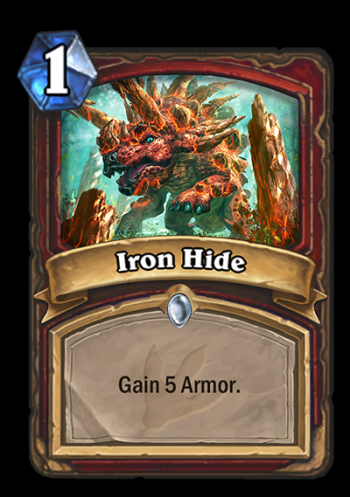 Simply gaining five armor for one mana is not a particularly good trade off, because it gives your opponent the card advantage.